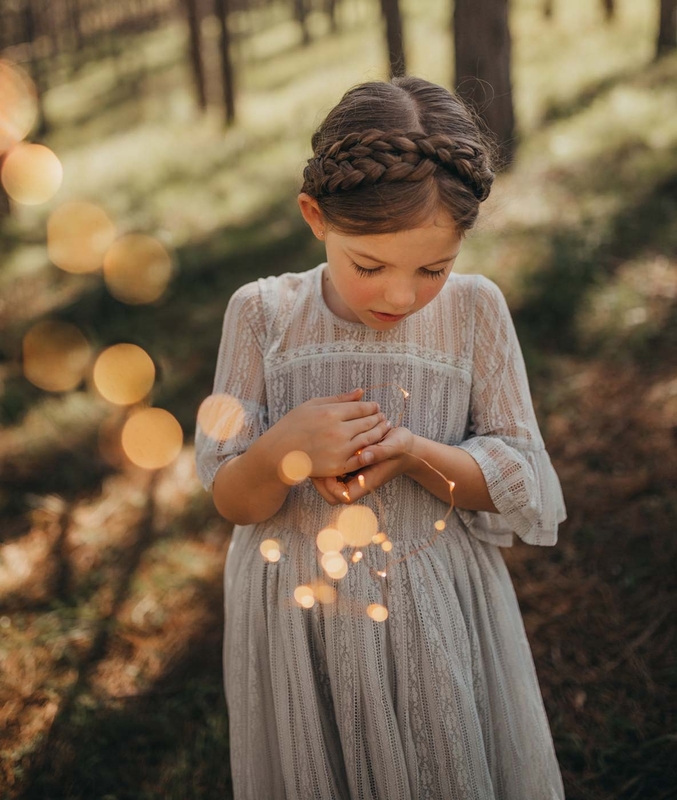 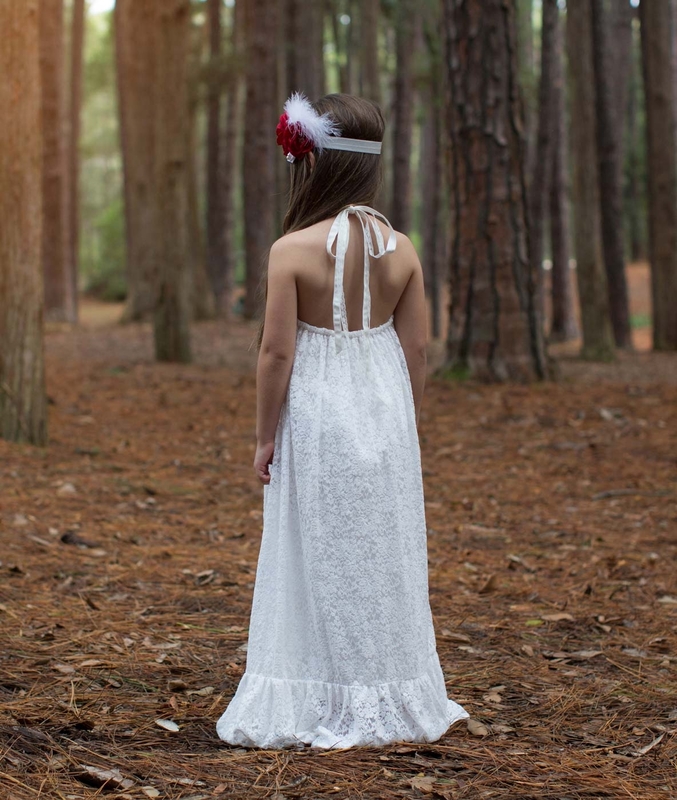 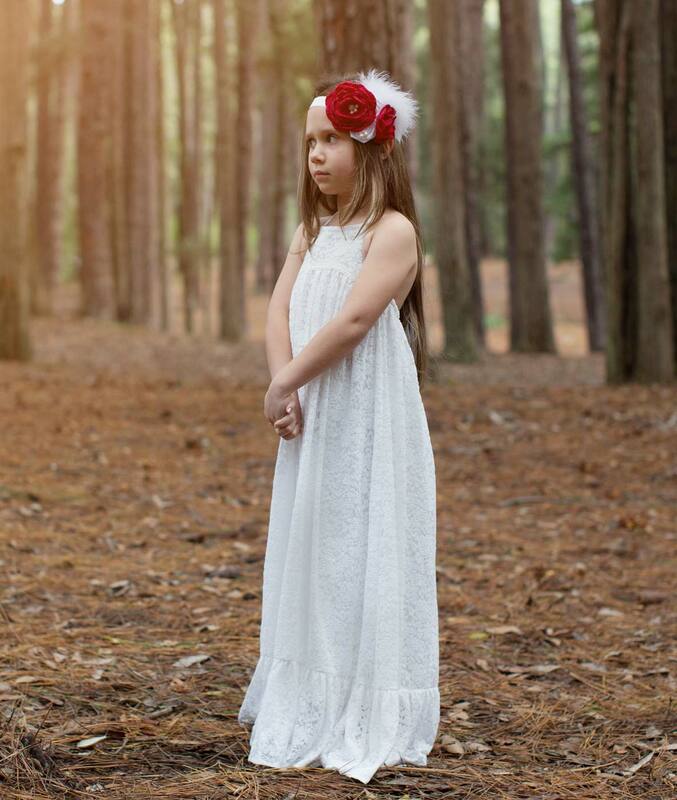 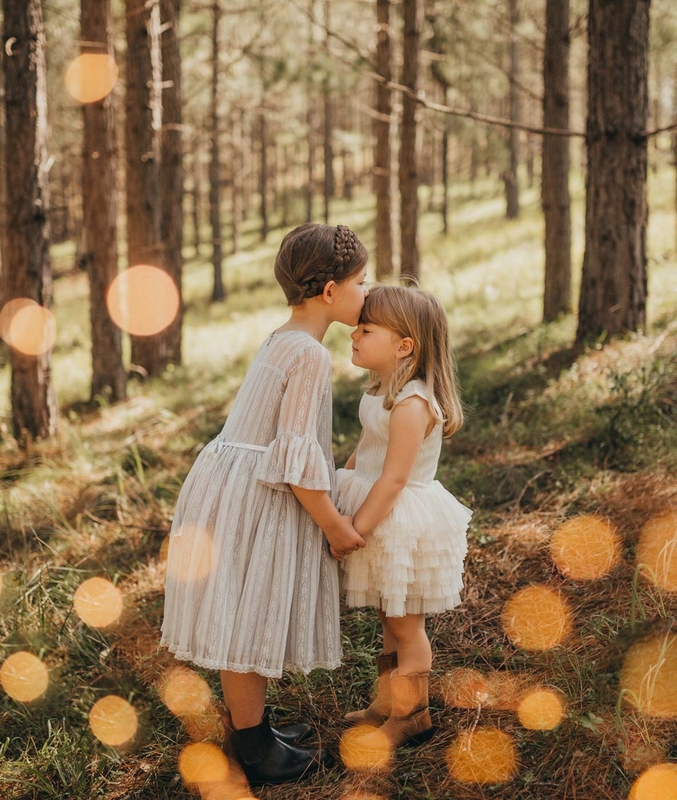 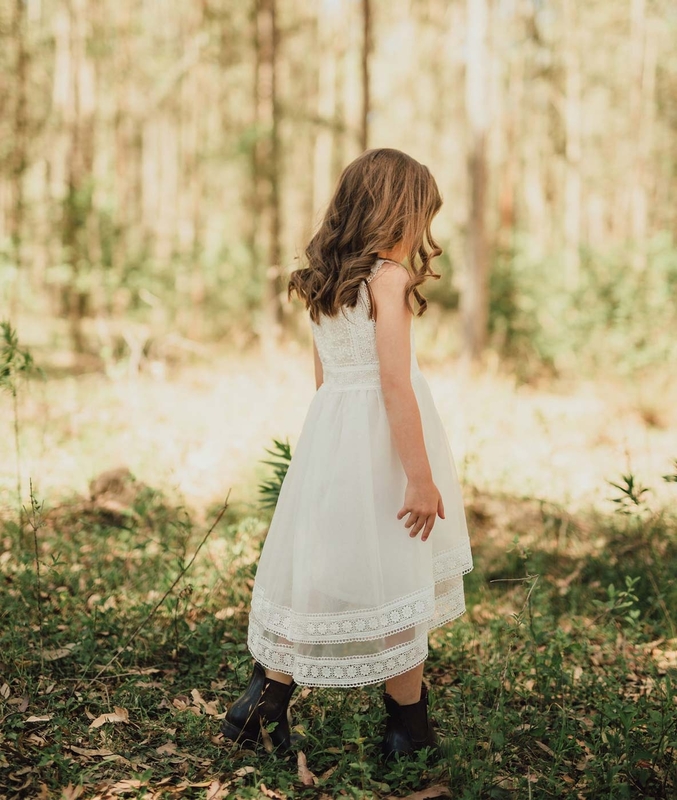 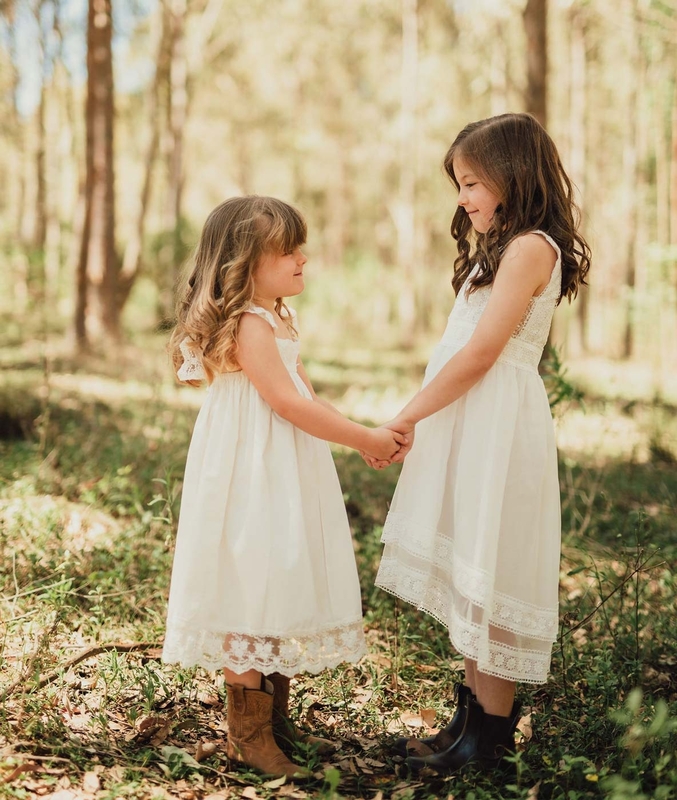 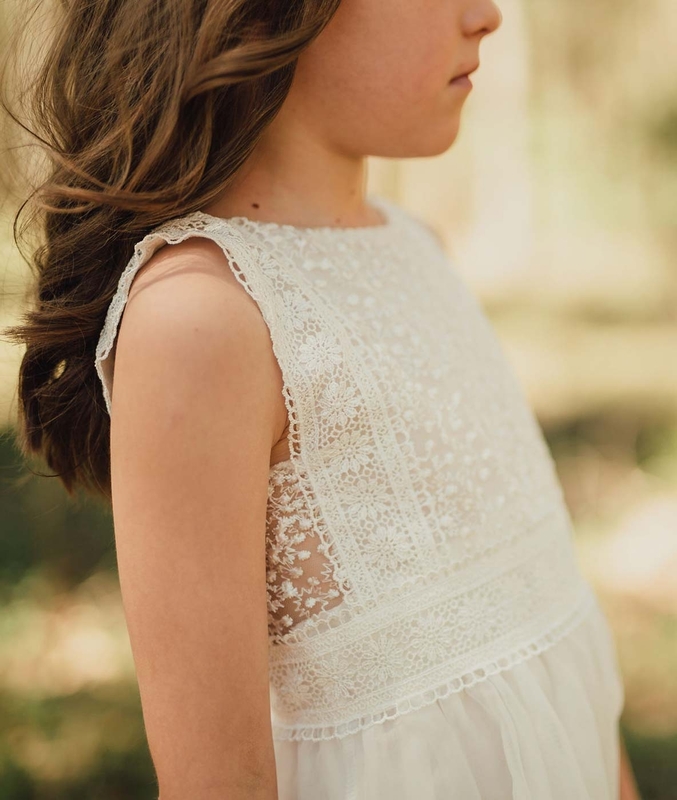 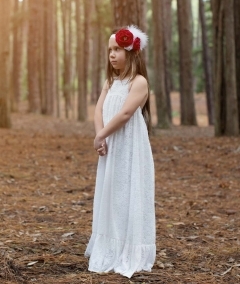 This gorgeous off-white lace dress is designed to be floor length and would be perfect as a flower girl dress or for any special occasion. 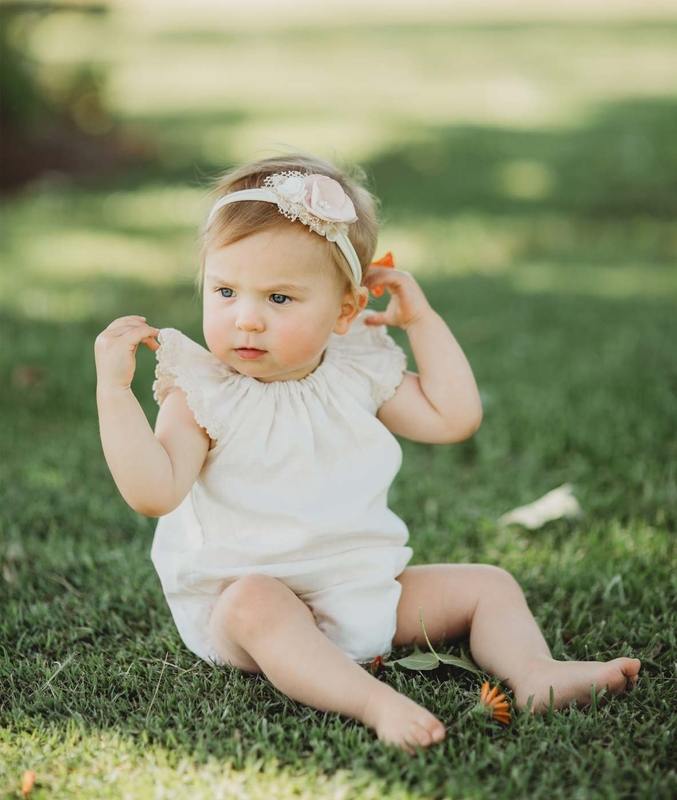 It is fully lined and ties as a halter neck style. 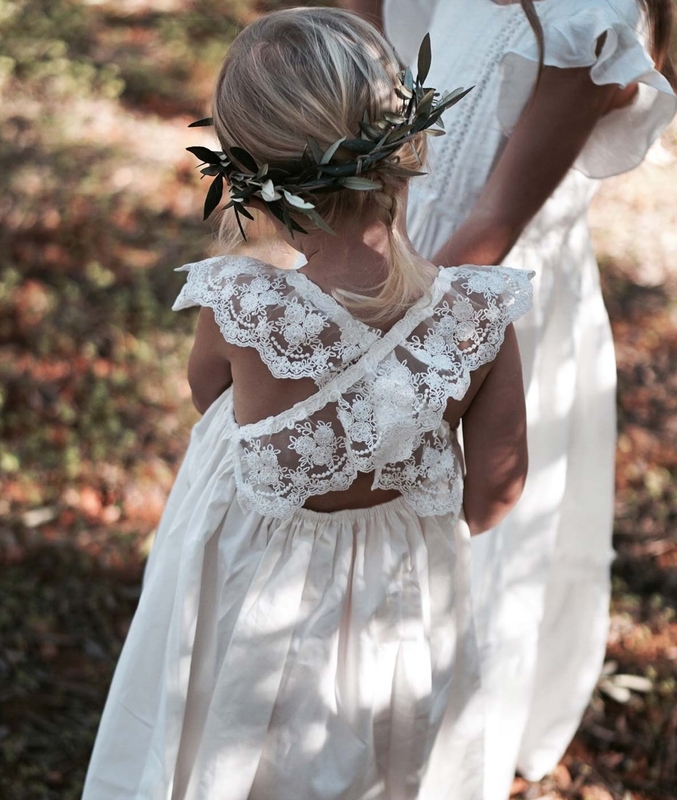 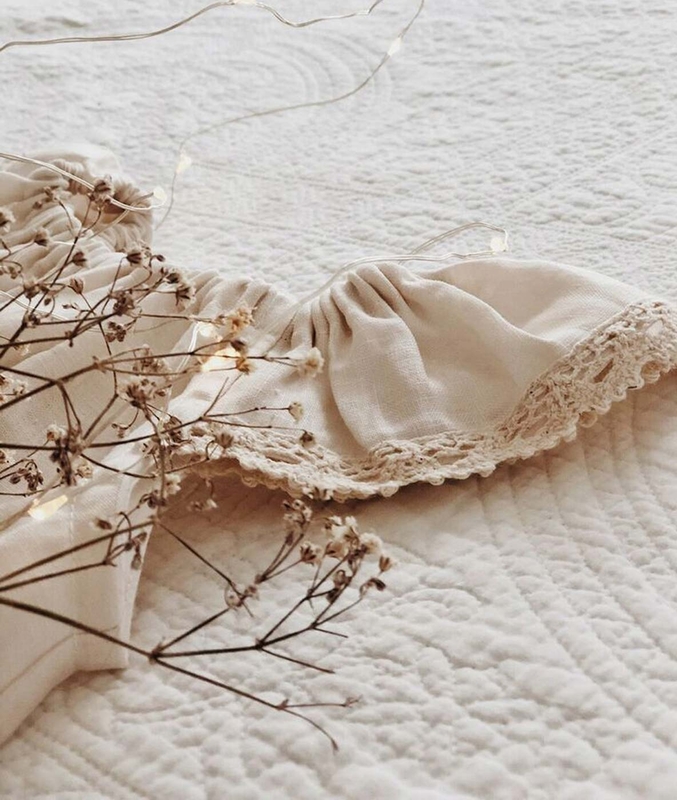 It’s beautiful straps are made with long lengths of lace that drape elegantly at the back when tied.